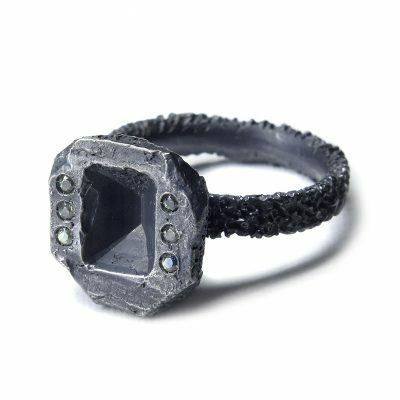 A ring that has changed drastically over time. 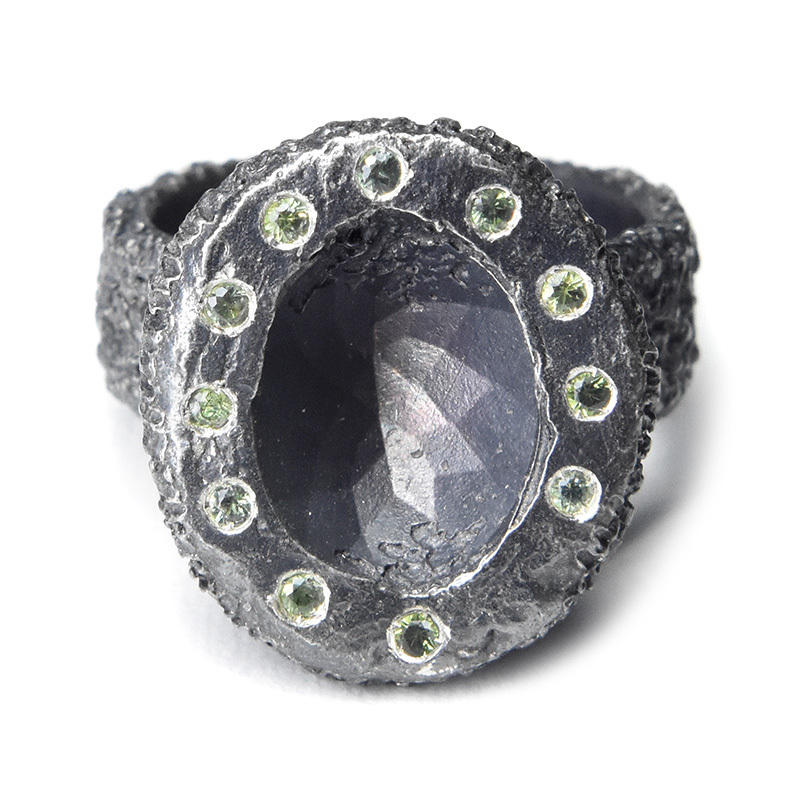 This heavy ring has its central sapphire gouged out, leaving the imprint of the gem on the inside. 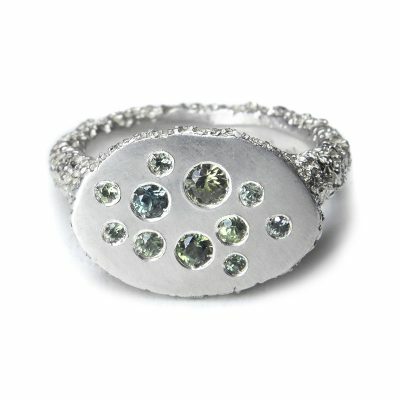 11 sapphires surround the indentation.